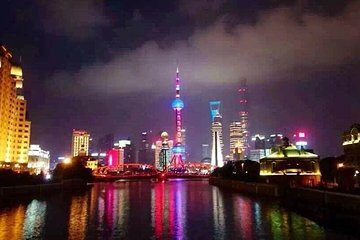 Explore Shanghai at night on this private tour that can be completely customized to your interests. You can choose to see the city’s neon lights or watch a popular acrobatic show or taste local foods and visit a rooftop bar. Along the way, learn about Shanghai history, culture, art, and more. Penny was great, very knowledgeable about the area. The history lessons and stories were the best part, we visited the river front, the tower and some local shopping streets for souvenirs and local food at my request. I will definitely be taking the tour again when I travel back to Shanghai with my family.